I recently quit my full-time job working as an engineer for a large utility company to start a brand that will help spread awareness about climate change called Follow Your Legend. But, the story of Follow Your Legend started about a year ago when I traveled to the Philippines to serve underprivileged children. It was an experience that gave me a broader perspective of the world and allowed me to witness firsthand the polluted conditions that these children were born into. This journey opened my eyes to the impact humans can have on the earth. I started to study the impacts climate change was having on our environment. I was inspired to plan a trip to travel to Greenland and Iceland to see how the Arctic was being affected by climate change. After reading an article about a mega tsunami that hit Greenland, I knew that this was the story that I wanted to dig deeper into. A few weeks later, I was on my way to a remote town in Greenland called Ummannaq, where I heard refugees from the tsunami were staying. I met a man named Remy, who lost his home to the tsunami and he shared his story with me. Interestingly enough, he has been writing in a daily journal for over 35 years, recording the temperature every day and what he experienced each day. After speaking with him, I could see there was no doubt in his mind that something strange was happening in the Arctic and that temperatures were getting warmer. His son shared a video that he took of the tsunami hitting their town. The most concerning part about my trip to the Arctic was that climate change was a reality to the people here. From the local café owner to the fisherman and the research scientist, they were all telling me the negative impacts climate change was having on their environment. After my trip to the Arctic, I knew that I had to reevaluate my own impact on the earth. At that time, I was working for a company that was mostly based off of using resources like natural gas and oil. It became clear to me that I wanted to be working on something with a larger purpose that would also leave a positive impact on the earth. I made the decision to quit my full-time job and take the leap to entrepreneurship. I wanted to create a brand that would inspire people to ‘Follow Your Legend’, meaning to follow the path your heart is calling you to take and leave a positive legacy on the planet. I’ve recently launched a product called the Legend Bracelet on Kickstarter. 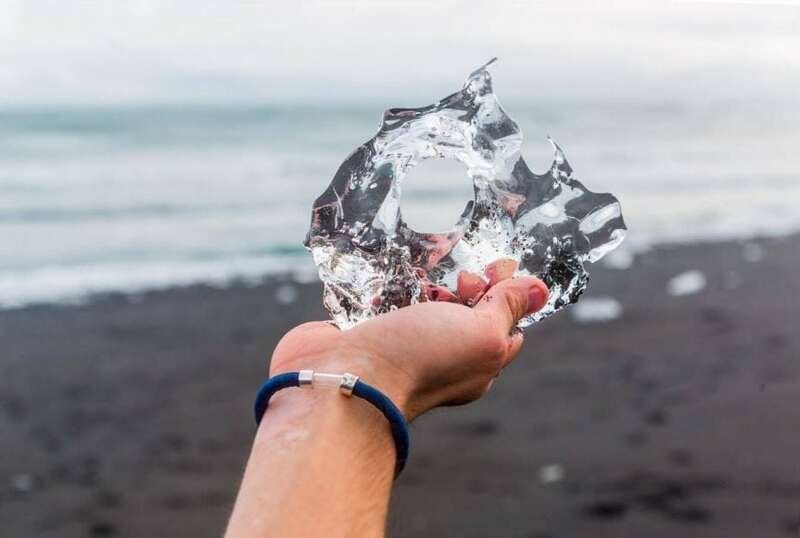 The Legend Bracelet serves as a daily reminder to inspire you to connect with nature and protect the environment. The bracelet has two capsules; the first capsule is filled with sand/earth from the Arctic. The second capsule is left empty, meant for you to fill with sand/earth from someplace special to you. The sand/earth in the bracelet is collected by scientists who study the carbon content in permafrost. Permafrost is the frozen ground that is thawing and releasing carbon emissions in the atmosphere. The organization conducting the research is called the Woods Hole Research Center. After the Kickstarter campaign, 12% of net profits will be donated to organizations protecting the environment and helping climate refugees. Specifically, 6% will be donated to the Woods Hole Research Center and the other 6% will be donated to various organizations helping climate refugees, which will be voted on by the Legend Bracelet community. Our mission is to educate people about climate change through a consumer product and introduce them to issues such as thawing permafrost and scientific organizations conducting research to help protect the environment. This project will only come to life if we get 100% funded on Kickstarter. Help us reach our goal by backing us on Kickstarter and join the community! On a mission to connect people around the world and inspire them to leave a positive impact. The Legend Bracelet is a symbol that represents a larger community of individuals who follow the path that leads to new adventures. These individuals are passionate about tackling large problems facing humanity, such as climate change. Previous Post« Previous Could Climate Change Affect How An Invasive Grass Colonizes Wetlands?